PHD and Spark PR & Activate have seen a suite of changes to its senior leadership team, with Nikki Grafton, Lee-Ann Morris, Christophe Spencer and Dallas Gurney all moving up. Nikki Grafton, formerly managing director, has been appointed to the newly created PHD New Zealand position of people and culture director. She’s been with the agency since 2000 and this move will see her strengthen the agency’s investment in existing and future talent. PHD CEO Louise Bond credits Grafton for having expertise in attracting, leading and developing a team. Stepping in to fill PHD New Zealand’s managing director position is Lee-Ann Morris. She’s held a general management position since 2016 and has experience in her new role after covering some of Grafton’s responsibilities during her maternity leave. Alongside Morris, Christophe Spencer has been promoted from general manager of digital to PHD New Zealand’s chief technology officer. The move will focus the agency’s digital offer and move it towards areas such as marketing automation. Bond says both Morris and Spencer are smart, passionate and trusted leaders with capabilities of driving client and agency business results. The final move sees Spark PR & Activate’s head Dallas Gurney, take on a new role as the content, PR and activation agency’s managing director. About the move, Bond says Gurney has a track record of creating growth of business units and Spark PR & Activate is benefitting from the same. The musical chairs within the senior team follows the agency’s win of Media Agency of the Year at this year’s Beacon’s. 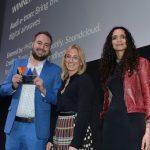 The award was based on business vision, employee development, financial performance, client acquisition and development, industry contribution and creativity and innovation rather than the traditional way of who won the most metal on the night.